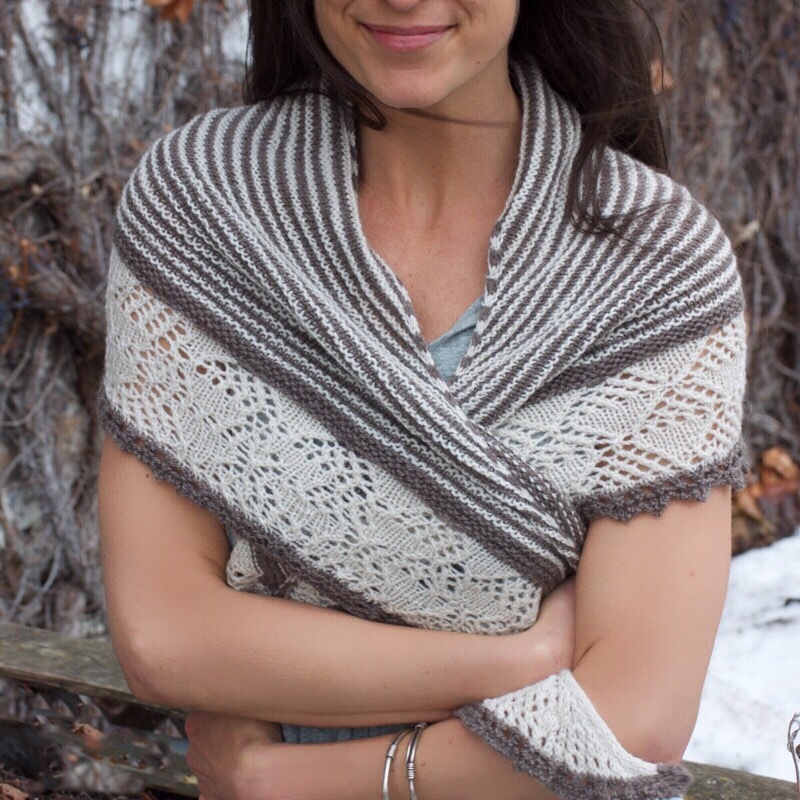 Stripes, lacework, and picot edgeing; what could be better?! Yarn: Two skeins Reywa Fibers’ Harmony, sport weight 50% Tibetan yak down, 50% wool. Gauge: 18 stitches = 4 inches in stockinette.